SEMICON Taiwan 2018 was held at Taipei Nangang Exhibition Center on September 5 -7. Many leading equipment manufacturers have joined the event including Aixtron, Veeco, Kulicke & Soffa, MPI Corporation and Toray. These equipment makers have introduced the latest trends of power components and optoelectronic. Telecom operators and equipment producers are preparing themselves to welcome the coming 5G era and target the market of related technology development. Moreover, the thriving electric car market also boosts the demands of RF Front-End power amplifier and GaN power components. In response to the needs, Aixtron launched AIX G5+C while Veeco introducing Propel emPower GaN MOCVD. These facilities can process 6-inch and 8-inch wafers with high uniformity, capacity and performance. 3D sensors and Lidar system will be the driving force for the market applications of VCSEL in the coming five to ten years. Adopting 3D sensors in smartphones helps to extend the functions of mobile devices including screen lock, mobile payment and further developments combining with APP software. Lidar, on the other hand, supports the applications of automotive sensors, intelligent traffic controls, measurements, industrial applications, drones and cleaning robots. AIX G4-TM MOCVD of Aixtron has been commonly used by its clients for mass production. Meanwhile, Veeco launched TurboDisc K475i™ As/P MOCVD to expand the applications in the IR LED market. The development of Micro LED covers six key technologies including epitaxial and chip design, full color solution, testing, transferring, repairing, driver IC and backplane. Among these technologies, epitaxial and chip design is the most critical technology. If LED chip makers provide chips with excellent quality, the cost for testing and repairing can be remarkably reduced. Under the standard of the industry, the wavelength uniformity of Micro LED chips should be 2nm. 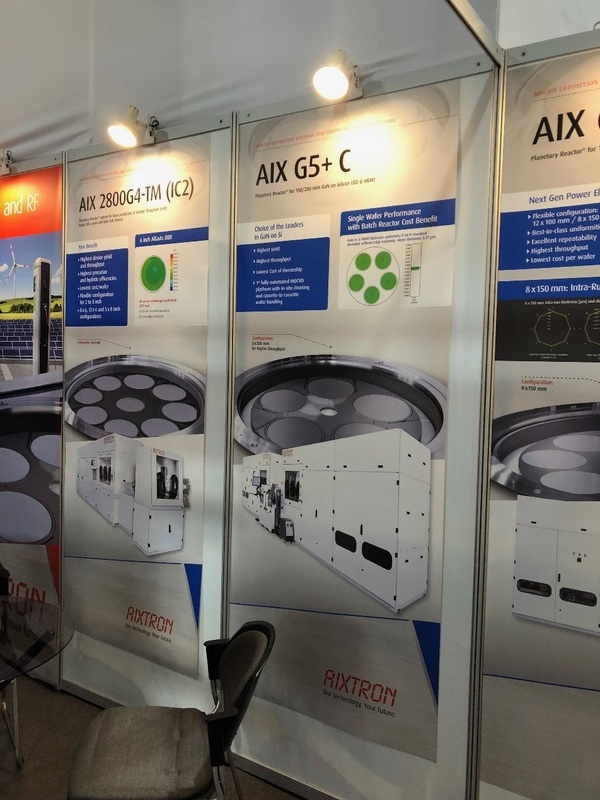 For meeting the standard of the market, Aixtron debuted AIX G5+C autonomous epitaxial equipment with a high price-performance ratio. Veeco, on the other hand, introduced Propel enLight GaN MOCVD System and EPIK 868, the two set of equipment can offer better cost of ownership. Kulicke & Soffa cooperated with Rohinni to development PIXALUX™die bonder, in response to the demands of the Mini LED market. 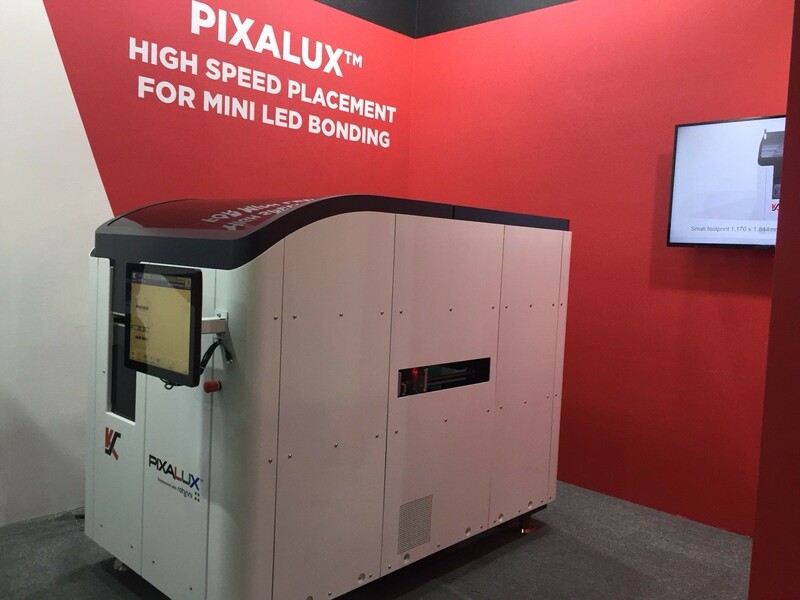 Compared with other die bonders at SEMICON Taiwan, PIXALUX™ can fast produce 180,000 pcs of Mini LED (100µm x 100µm) per hour, and the placement accuracy is up to ±10µm. In the future, Kulicke & Soffa will consistently develop the new equipment to pursue high speed and high accuracy. 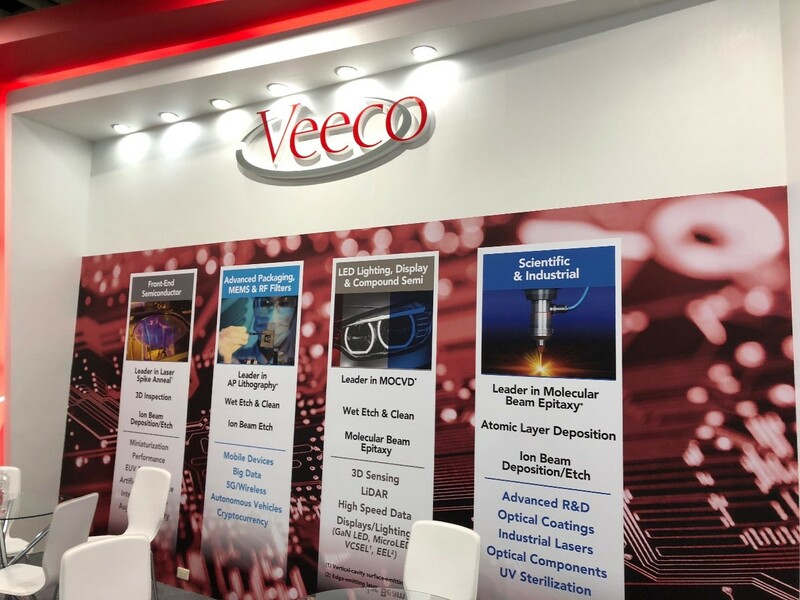 Corresponding to the needs of the Micro LED market, MPI Corporation also develops wafer bonding and testing equipment to contribute to the production. The MPI C1 system featuring electrodes in the size of 40x15µm is able to inspect both optical and electric parameters of wafers. Though the company did not showcase the equipment during the event, the MPI C1 system is now available for ordering.